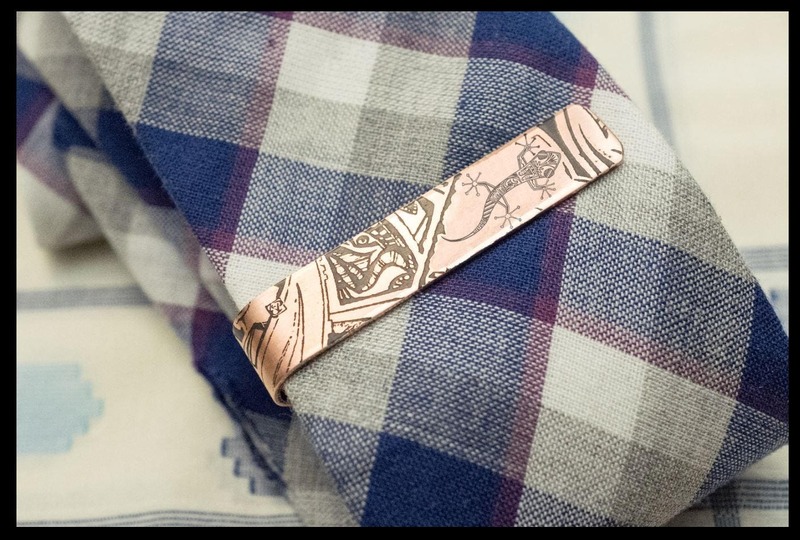 Thank you for visiting Gecko Tie Bars - a Copper Art Designs production. 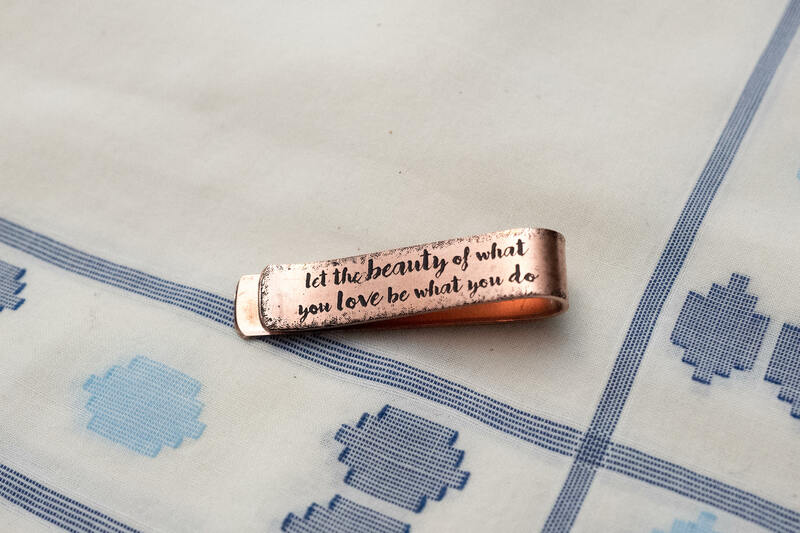 A wonderful copper gift with an elegant design. If requested, your initials or your signature can be etched on it. 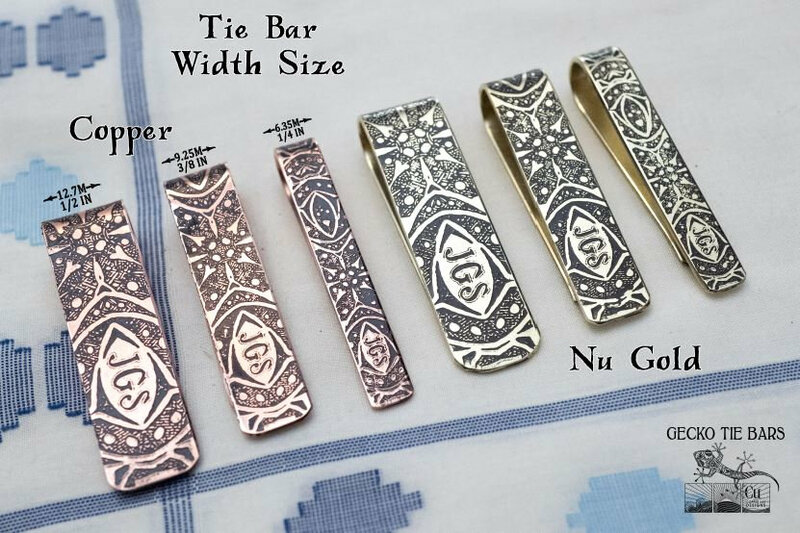 The Gecko Tie Bars are made of high quality heavy 18 gauge 99.9% pure solid Copper or Nu Gold metals. Nu Gold is a copper-based, nickel-free alloy that mimics the look of gold. Often referred to as Merlin's Gold. 85% copper, 15% zinc. Gecko Tie Bar will arrive in a cloth bag, ready for gift giving! The Gecko Tie Bar will be polished and we also add a special U/V protective coating to guard the copper from continuing to patina. 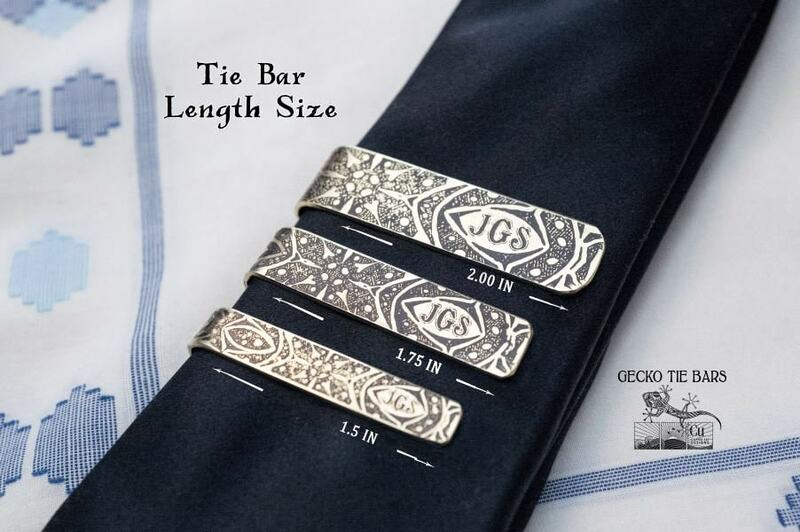 I will then create and send you a mock-up proof of your Gecko Tie Bar within 1-2 days. Once you've approved the design I will proceed with your order. This item is handmade to order. The metal etching and patinas goes through a series of processes and it takes time. Please allow up to 3-5 working days for your item to be made and then delivered to you. Your order will be completed and ready to ship within no less than 7-10 working days of approval. I will provide maximum satisfaction to service a highest quality product. Thank you for considering my handcrafted artwork. We are a small family business based out of Virginia Beach, VA. We are very proud to make each piece by hand, with much passion and love. 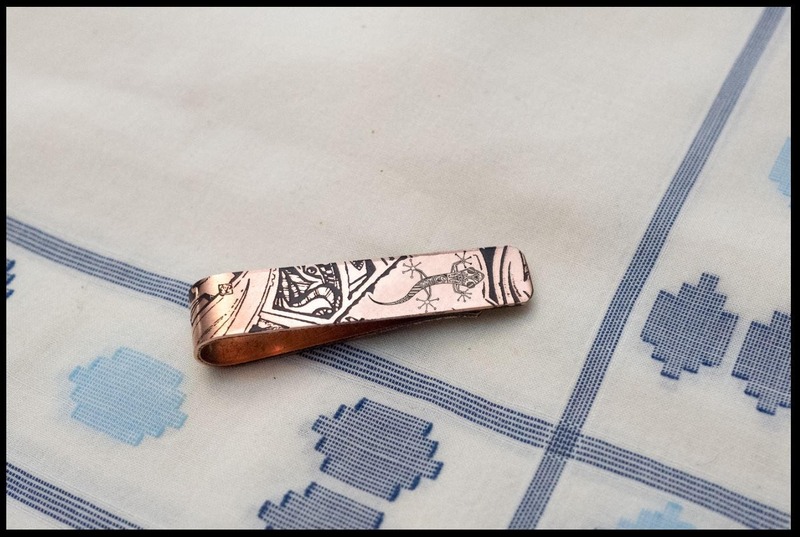 **Note: If a different design is required or you have a design that you would prefer on the Copper Tie Bar please contact me via convo on Etsy.